High in the mountains of Tibet highland sheep are cared for and gently tended to by shepherds. After shearing, the wool is cleaned and dried. Then it is dyed with natural inks and colorful yarns are created. 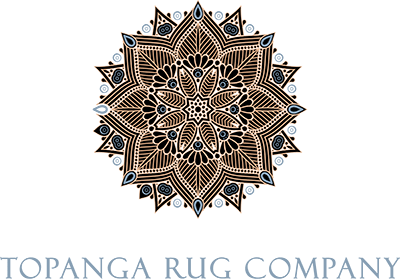 It’s here that the real works begins—whether, by weavers working on looms or by hand-knotting, the process of rug-making can take anywhere from 8 hours to over a year depending on the size, style, and design of the rug.